But it should cause some heartburn for AWS’s competitor Google Cloud. And it will likely frustrate Cisco’s competitor VMware, too. This new product lets companies run cloud apps on their own data centres or in the cloud while stamping firmly on Google’s and VMware’s toes. 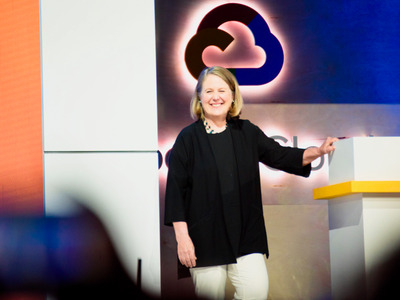 Cisco and Amazon Web Services have announced a new cloud product that enterprises will likely love but should cause some heartburn for AWS’s competitor Google Cloud, and Cisco’s competitor VMware. This service focuses on a particularly hot area of cloud computing known as Kubernetes, a technology created by Google. Cloud apps typically use a technology called “containers” which makes sure that the app doesn’t break if something changes with the cloud setup, or as the app is moved from one area of a cloud to another. Kubernetes helps companies manage thousands of containers as those companies put more of their apps in the cloud. But the truly interesting part of this announcement isn’t so much the technology. It’s the stake in the ground that Cisco and AWS have planted with it. Cisco is one of those companies that could have been another IBM – a victim of the rise of cloud computing, in which companies don’t need to buy servers, storage and networks to run their apps, renting it all from the cloud provider. But under CEO Chuck Robbins, Cisco is offering more and more cloud products, getting in on the recurring software revenues that cloud services provide. This isn’t the first partnership between Cisco and AWS. Cisco has been selling networking software that does many of the functions of a hardware router on AWS for a few years now. But, a year ago, Cisco partnered with Google to create network software for Google Cloud. Google created Kubernetes and then gave it away as a free and open source software project. Google uses its expertise with Kubernetes as one of its selling points to get customers to use its cloud. That joint product with Cisco became available for Google’s customers to use about a month ago. What does it do? Among other things, it lets companies do hybrid computing for apps using Kubernetes. “This is a win for AWS as many of the Cisco management tools are involved in this partnership, notably Cisco Appdynamics, is a leading tool in the market,” says Stephen Elliot, a vice president for market researcher IDC. Cisco’s AWS product also gives Cisco game with the biggest cloud provider, the one that many of Cisco’s customers would no doubt be asking it to work with. 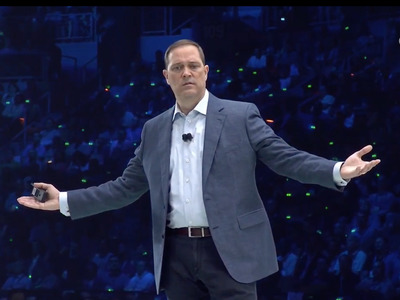 Cisco will not only offer subscription software on AWS, but has developed some hardware those companies can buy, helping it sell more of its traditional gear as well. And the AWS Kubernetes services will be sold by Cisco’s enormous and powerful salesforce and its giant network of sales partners. Another score for Amazon. “Keep in mind Cisco’s massive sales channel. AWS can get some access to it via this partnership. It’s a win win for both firms,” Elliot says. But there’s a bonus in here for Cisco as well. In a big splashy announcement a couple of years ago, Amazon had previously partnered with one of Cisco’s biggest rivals, VMware, to offer hybrid cloud computing services. Kubernetes is widely considered to be a technology that makes VMware’s flagship technology obsolete. So by offering a Kubernetes product on AWS, Cisco elbows into VMware’s partnership with the cloud computing giant. And there’s one more burn for Google in here. Amazon has been criticised recently by companies that make open source software for being a taker without giving back. Amazon has every legal right to Kubernetes as a service. Google has given it away as an open source project managed by an independent organisation. But there’s a social contract involved when companies open source their software. Anyone can use it, or change it, but they are supposed to share their changes with the whole group. In this way, the creator gets help with building and growing the project, and everyone benefits. But Amazon has come under fire for “strip mining.” Taking open source projects, commercialising them (as it is legally allowed to do) but not contributing to them. One open source company recently grew so fed up with Amazon and other cloud providers over this practice that it’s trying to get a new licence passed that would force strip miners to either contribute or pay. Amazon charges its customers for Kubernetes but, for a company with the engineering resources of Amazon, it contributes only a tiny bit back, according to the organisation that manages the project. The biggest contributor, by a mile, to the project is Google.